I spent most of my life so far living in the suburbs…bringing up my boys….There are so many things to do for families with kids in the suburbs that I enjoy. My kids are grown up so I moved to the South Loop Museum Park – Central Station to enjoy what the city has to offer. The South Loop Museum Park – Central Station is a little quieter than the Loop which made it an easier transition for me going from acres of property and a big house to a condo with no yard. Some of the restaurants I have enjoyed so far have been Acadia (Risotto and Lobster rolls are my favorite), Scout (Casual comfort food), Nepal House (great flavors), Curry House, Niu Sushi (The bowls for lunch are awesome), Opart Thai House, Kroll's, Asian Outpost (fun ambiance), Tapas Valencia, Kurah Mediterranean Tapas ( Tapas to die for and a great wine selection also), Gioco ( The Tortelloni is my favorite), Burger Bar, Yolk South Loop (Sunday morning breakfast mmm) all within walking distance from my home. I will post more when I visit them. 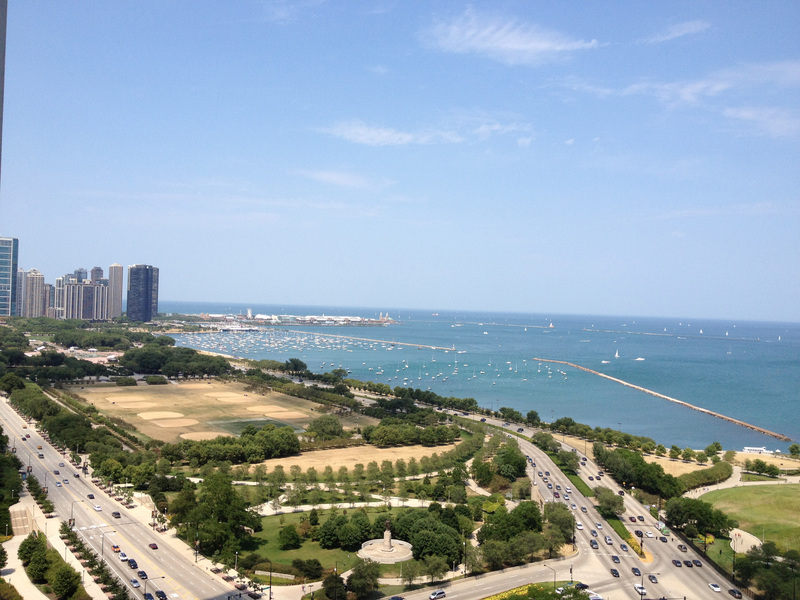 Also…Look at some of the views….So many of the buildings in The South Loop have awesome views. Some are of the buildings, city, downtown, lake, Museums, Soldiers field. My favorite views so far are from the 1201 S Prairie (The Grant), 1211 S Prairie, 1235 S Prairie and 1155 S Michigan Ave. Many from these buildings are of the lake, Grant Park, Navy Pier, museums and the Chicago Loop skyline. Some of the buildings further south In Museum Park that have awesome views the lake and some of the Chicago Loop buildings (beautiful at night) are 1322 S. Prairie, 1515 S Prairie (Prairie House), 1250 S Indiana,1600 S Prairie and 1629 S Prairie plus more I didn't mention. Grant Park has so many events, Summer Dance, Pritzker Pavilion with music for everyone (the sound and ambiance is magnificent), concerts, The Taste of Chicago just to name a handful. Fireworks on Navy Pier Wed and Sat nights during the summer, musicians playing on the street and in bars/restaurants throughout the area. A new Grant Park Skate Park at the southern end of Grant Park check out the link, it is really cool. Museum Park of course includes The Field Museum, The Shedd Aquarium, The Adlar Planetarium and north on Michigan Avenue is The Art Institute (I just visited the Charles Ray exhibit…wow!). Let's not forget Burnham Harbor, Soldiers Field, McCormick Place and 15th Street Beach. I run by them every other day along the lake.